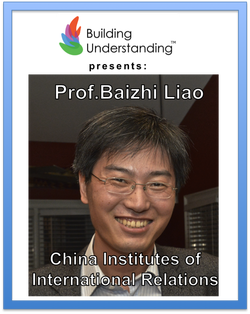 Assistant Director of the Institute for West Asian and African Studies, China Institutes of Contemporary International Relations (CICIR) in Beijing, China, Prof. Liao is fluent in Arabic has worked in Africa and the Middle East. He is currently a visiting scholar at Emory University's Institute for Developing Nations conducting research on Egypt's Muslim Brotherhood. 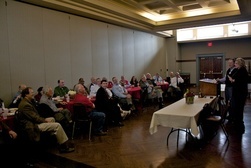 In partnership with Northside Kiwanis Club, the GA Fulbright Alumni Association, and Youth Universe, Building Understanding (BUDS) offers a monthly luncheon speaker series at First Presbyterian Church (Midtown), every third Friday from noon to 1:30PM. Become a BUDS Member today!